(ZIZ News) — Prostate health will be the focus of discussion on Tuesday at an information session to be hosted by The Rotary Club of St. Kitts in collaboration with the University of the West Indies Open Campus and the Walnut Foundation of Ontario Canada. 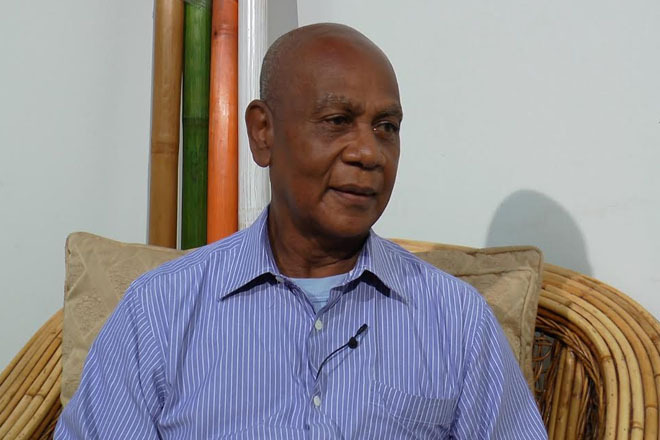 President of the walnut foundation and featured speaker for the information session Dr. Winston Isaac spoke with ZIZ about the importance of this type of session. “Men tend not to be very forthcoming with health issues, tend not to follow up very much and it is my belief that in order for men to be educated and be responsible for their own health, they need to hear information about prostate health. Prostate conditions tend to be very scary for men,” he said. Dr. Isaac also outlined what can be expected at the information session. “There is a presentation done by me. Following that there will be three of us who will be sharing our experience with prostate cancer, treatment and the journey of prostate cancer. The idea is to present information at a lower level not a scientific level, regarding prostate health. There will be discussions about diagnosis, methods of treatment and the choices that men can expect is they are ever diagnosed with prostate cancer,” he explained. Dr. Isaac said although the discussion will focus on a man’s disease, the information session on prostate health is open to men and women. The prostate heath information session will be held at the UWI Open Campus from 6:30 pm on Tuesday 12th July 2016.